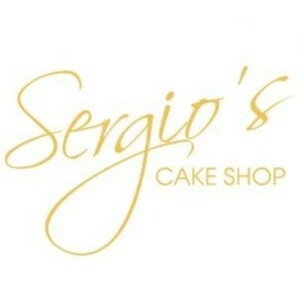 Sergios Cake Shop joined our Mission to help provide access to “Clean Water for All by 2030”. This Mission was initiated by the United Nations. A big thank you to Sergios Cake Shop’s team and customers for joining this extremely important mission on 10 April 2018. Sergio’s Cake Shop is a family run and Australian owned company offering a lavish sensory experience of flavour in an opulent setting. With their luxuriously, made to order cakes that are hand finished and baked daily, recipes that have been tried and tested over decades, using the finest ingredients. Delivered daily to their shops from their state of the art bake house kitchen. Using only the freshest ingredients sourced from the best Australian suppliers and offering one of the widest variety of products in the market place. Every cake, biscuit and slice is hand finished and decorated. Established in 2003 by Sergio Christou and his family, the business has grown with the most recent opening of their Blacktown shop, fitted to the highest quality and over flowing with Sergio’s delicious cakes, it has been an immediate and overwhelming success. With shops now open in Northbridge, Macarthur, Wetherill Park, Bankstown, Carlingford, Chullora, Marrickville, Merrylands, Blacktown catering to all your needs.